Holidays should be stress free - from choosing your accommodation to flying home. 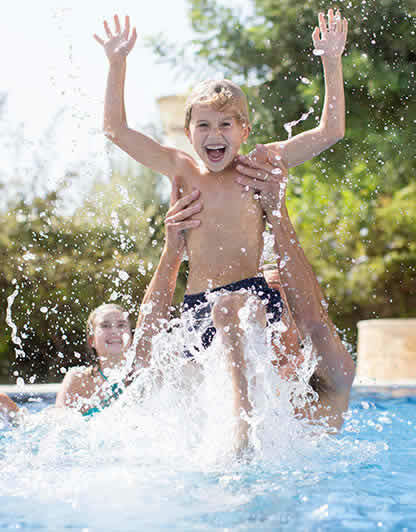 So we take the hassle out of the planning and help you to arrange all the extras you need for your holiday. From flights and transfers to travel insurance and airport hotels - let us take care of it. 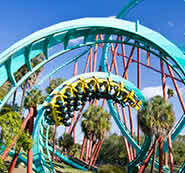 We can even organise your Florida attraction tickets at great prices. Holiday the way you like it with the ability to pick and choose your holiday extras. At James not only do we handpick fabulous villas across beautiful destinations, but we also work with some of the most well-known and respected airlines, car hire companies and more to offer you the very best holiday experience. Aside from being the UK's leading villa holiday specialists, there are lots of other great reasons why you should book with James. We specialise in the little things that make a big holiday! So find out just what they are. Once you've chosen your villa, we can take care of your flights as well. Fly from your most convenient airport - we offer a fantastic range of flights including regional departures, at the times to suit you. What's more, we can arrange your airport parking, airport hotels before you travel, your car hire or transfers, travel insurance and much more. It doesn’t have to be complicated. Add all of your holiday extras as part of the easy booking process, or speak to our Travel Advisers. Not ready to look at the finer details when booking? You can add extras onto your holiday at any time. 'Car Optional' shows that the villa in question is more central, with all amenities within easy reach. However, if you want to explore further afield, it’s still worth getting a car. ‘Car Advised’ covers those villas within walking distance of a few amenities, although a car will add to your enjoyment, making it easier to get around. ‘Car Essential’ villas are usually more rural and secluded, so you’ll need a car to reach restaurants, supermarkets and other amenities. They’re not always serviced by taxis. BubbleBum is a cost-effective, portable and lightweight, inflatable car booster seat for children aged between 4-11 years. With quick and easy inflation and deflation plus the ability to be folded flat for storage, BubbleBum is a great alternative to taking your own children's car seats on holiday or hiring one for use in your car rental. Freedom - that’s what makes a villa holiday special. To come and go as you please, each and every day. A hire car adds to that freedom and puts you in the driving seat. Want to drive and explore? From reaching that dream villa with a spectacular view, to cruising along the sun-drenched seascape - car hire opens up unique opportunities. In some cases, a hire car is a must, given the location of the villa. Each of our villas fall into one of three categories - car essential, car advised and car optional. This helps when choosing the perfect villa for you, depending on whether you want to escape it with a rural villa, or close to the action within walking distance to the shops and restaurants. To help you decide, look out for the icons next to the villa descriptions. Our wide range of car options have something for everyone, from budget to prestige. **The Caribbean is the exception to this. For full details, please see the car hire terms and conditions when you continue to book and choose your car. Our travel insurance is simple to understand, sensibly priced and specifically arranged for us through our partner - Holiday Extras - underwritten by Allianz Global Assistance, a global leader in insurance. There’s a comprehensive range of cover to suit your needs, so you can relax knowing you’re fully protected, right from the time of your booking. If you have to cancel your holiday for redundancy or jury service, you’ll be covered subject to a claim – up to £5k per person. You’ll also be covered for loss of items, delayed departures and missed flights, not to mention personal accidents, with emergency medical cover up to £10m, and a 24hr Medical Assistance Helpline. 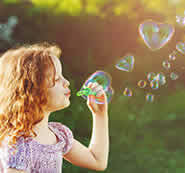 Children under 18 are included free in the policy and there’s senior insurance for up to 85 year olds. We make sure that our pre-arranged transfers are on time, every time. The transfer to your villa will match up with flight times so you won’t be waiting around for hours in arrivals. Our transfers are by private car or mini bus, or by boat or ferry if you happen to be staying in Gozo, on certain Greek and Croatian Islands. 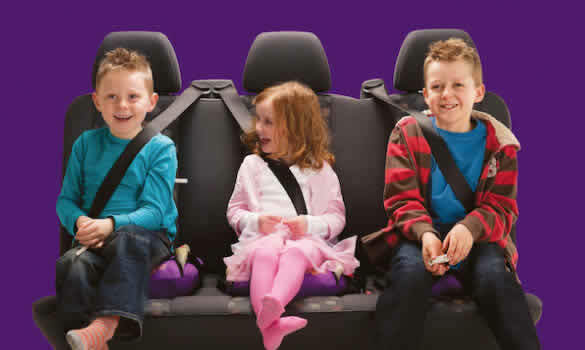 In some areas you can also pre-book child seats, and every driver and vehicle that we use is thoroughly checked to ensure your safety. The airport - the official start to your holiday! Forget rushing around, organising lifts from friends and family, or finding a seat in departures. We can organise all of your airport holiday extras so moving through the airport is as relaxing as your holiday itself. From airport parking and lounge to a hotel the night before your flight - we've got it all covered. No need to rely on family or friends to drive you to the airport. Add airport parking to your holiday and leave your car in a convenient, safe spot. With great value and affordable airport parking rates, getting to the airport is easy! Early flight? Or perhaps you are keen to make sure you are at the airport in plenty of time, without the stress of traffic on the day? Kick-start your holiday early and stay at a hotel near to the airport. So on the day of your flight there is no rushing around. We offer fantastic hotel rates at a number of airports. Start your holiday right. No matter what airline you are flying with, you can relax in an airport lounge before your flight. Enjoy complimentary drinks and snacks, plenty of comfortable seating, reading material away from the crowds in departures. You'll be relaxed and ready to travel. We know there are a lot of things to think about when planning your Florida holiday. The excitement and choices can be overwhelming! So, one of the best places to start is deciding what you want to see and what parks you want to visit. 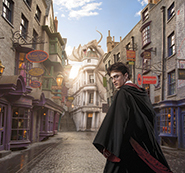 From Walt Disney World Resort and Epcot, to Universal Studio's Wizarding World of Harry Potter™ and Bush Gardens® - explore Florida with us. The many park tickets and prices on offer can be quite confusing, so at James we offer the ticket options that we think are the best value for money attraction tickets you can buy. No need to shop around! Our knowledgeable Travel Advisers will listen and guide you to tailor-make your dream Florida holiday, securing the best value tickets from our trusted suppliers. You can book your attraction tickets before you travel, so your days out are organised before you arrive. Secure your great value attraction tickets with us for just a £25 per ticket deposit. Buy your currency before your travel for the very best rates. Collect your travel money from your local bureau or nearest Doodle store, or even get it delivered to your door the same or next day. Order online or by phone. We offer a comprehensive range of Direct flights from a number of charter airlines such as Thomson and Thomas Cook, plus scheduled carriers such as Virgin Atlantic, British Airways and Norwegian Air Shuttle. Upgrades to Premium, Business and First Class can also be booked where available, if not shown on our website please contact our Travel Advisers should you not find the desired flight that you are looking for 0800 074 0122. 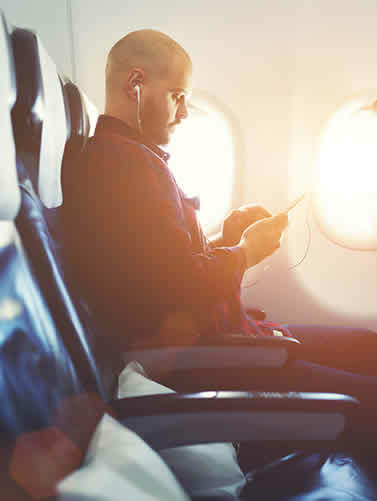 Below are examples of the comfort, entertainment and service you could enjoy if you choose to upgrade your seats. These will vary depending on the airline.